National Book Award Finalist: This look at the science of the female body is "a tour de force... wonderful, entertaining and informative" (TheNew York Times Book Review). 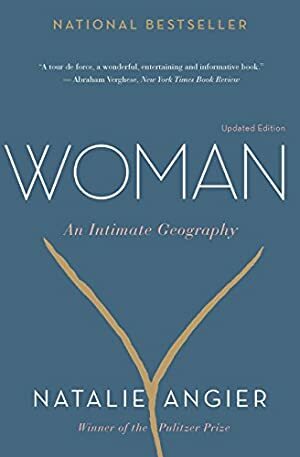 From a Pulitzer Prize-winning journalist who covers science for the New York Times, Woman is an essential guide to everything from organs to orgasms and hormones to hysterectomies. With her characteristic clarity and insight, Natalie Angier cuts through still-prevalent myths and misinformation surrounding the female body, the most enigmatic of evolutionary masterpieces. In addition to earning a nomination for the National Book Award, Woman was named one of the best books of the year by NPR, the Los Angeles Times, the Chicago Tribune, and People, among others. Log In to track Natalie Angier on eReaderIQ. to be notified each time the price drops on any book by Natalie Angier. to stop tracking Natalie Angier. We started tracking this book on July 12, 2011. This book was $9.86 when we started tracking it. The price of this book has changed 180 times in the past 2,839 days. The lowest price to date was $1.20 last reached on August 15, 2018. The highest price to date was $12.25 last reached on May 2, 2018. This book has been $12.25 2 times since we started tracking it.